Who said erecting a 100 + foot system scaffold stair tower was hard? This type of project is a drop in the bucket for Bilt Rite Scaffold. 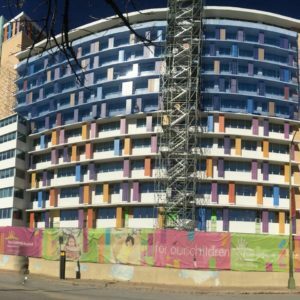 Honored to partner with Bartlett Cocke once again, we were able to provide several forms of aerial solutions for them at The Children’s Hospital in nearby San Antonio, Texas. Bartlett Cocke needed to perform exterior remediation on the existing balconies, but the work area presented many dangers. These dangers were not limited to immediate fall hazards and offered no viable capacity to place a safe work platform or fall protection system. This project was unique because making changes to the existing structure or erecting scaffold along the entire elevation would have been too costly and time consuming, so an out-of-the-box and affordable solution was in stow. Bilt Rite got creative for this one and pulled out several options from their expanding access portfolio. Along with our 170-foot erected system scaffold towers, we were also able to provide a stair tower for easy access to all work platforms. Looking at our extensive line of material and man hoists, we determined our Beta Max hoist was the perfect fit to increase productivity while maintaining safety. Safety and cost efficiency is always a goal for Bilt Rite, and it is important for us to execute both on every project we are a part of. 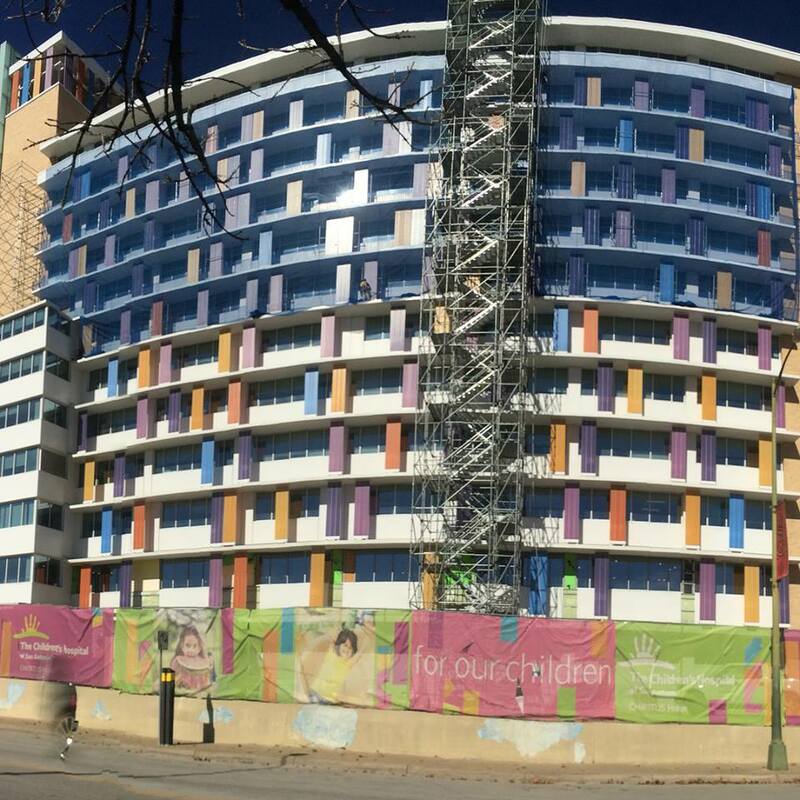 With The Children’s Hospital project, we developed a clever and custom fall protection system that allowed a series of cables to provide fall prevention to all of the work platforms and ladders. 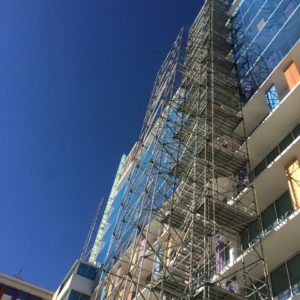 The scaffold was engineered and designed to meet all federal OSHA guidelines. Safety netting, provided by Eagle Industries, was integrated into the fall restriction system to assist with falling objects and offered an aesthetically pleasing look while work was underway. Bilt Rite looks forward to continuing our relationship with Bartlett Cocke and our expanding client base in San Antonio, Tx. “Any project where we can offer several types of aerial solutions while putting money back into the client’s pocket is a home run” – Chris Kelley, CEO of Bilt Rite Scaffold.